New. 1452149224 Ships Within 24 Hours. Tracking Number available for all USA orders. Excellent Customer Service. Upto 15 Days 100% Money Back Gurantee. Try Our Fast! ! ! ! Shipping With Tracking Number. New. 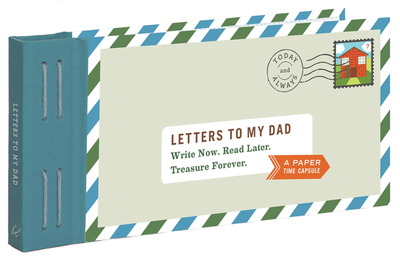 This book of letters makes it easy for children of many ages--from tween to adult--to give Dad a personal and meaningful gift he'll truly treasure forever. Num Pages: 12 pages, hardcover, 12 fold-and-mail-style envelopes bound together, full-colour sticker sheet. BIC Classification: WZS. Category: (G) General (US: Trade). Dimension: 97 x 204 x 17. Weight in Grams: 158. 2016. Jou. Hardcover.....We ship daily from our Bookshop.